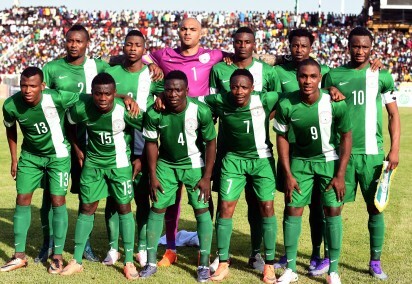 Nigeria's Super Eagles beat the Chipolopolo of Zambia in the qualifiers for the 2018 FIFA World Cup to claim top spot in group B after the other group game between Algeria and Cameroon ended in a 1-1 draw. Naijafootball247.com takes a critical look at how the Eagles fared in the game and gives individual ratings of all the players on parade for the Eagles. Hardly did anything wrong in the game. Besides denying Rainford Kalaba with point-blank saves on two occasions, Ikeme also seemed to be in firm control of his backline. Playing in his more natural fullback position, Wilfred Ndidi looked solid and was never found wanting in the first half. His long throw led to Nigeria's opening goal. He, however, could not put up a similar performance in the second as he was constantly run down by the Zambian captain, Rainford Kalaba. Did not contribute much to attacking play, perhaps as a result of the manager's tactical decisions, but was looked very composed in executing his defensive duties. He was particularly impressive in curtailing the very tricky Fwayo Tempo. Though full of activity and running, he lacked concentration at certain moments, and was poor with crucial tackles and clearances, one of which caused the goal Nigeria conceded. Must be more calculated and decisive. Arguably his best performance for the Super Eagles. He proved to be the leader in the Eagles backline. The way he anticipated the Zambians' attack was commendable; and in addition, he never went wrong in aeriel contests. Put up his usual exuberant display in the middle of the park and did fairly well in protecting the backline. One quality he should add to his game, though, is taking initiatives whenever he finds space in midfield. The Super Eagles skipper played in a deeper role than we have seen him play in recent games in national colours. Held on to the ball very well to dictate pace, but carelessly lost possession on a few occassions. Combined well with the front men the few times he surged forward and should have been on the scoresheet but for a brilliant tip-over by the Zambian goalkeeper Kennedy Nweene. Uncharacteristically abysmal on the day. His crosses were poor and he seemed to lack the pace and power he is known for. His withdrawal in the 83rd minute should have come a lot earlier. The manner in which he kept a cool head to slot in the second goal, in the face of pressure from on-rushing Zambian defenders speaks volume of his composure. Struggled at the beginning to cope with the physicality of the Zambians, but drifted to a more a central role, from where he was a beauty to behold. Showed great tactical and technical awareness, and was also a great team player. His goal on the day was a good reward for a great performance. The Olympiacos striker did not get into many scoring positions but his understanding with Iheanaco and Iwobi was commendable. Provided the assist for Nigeria's second goal and was substituted in the 73rd minute when the Eagles where under heavy pressure from the Zambians. 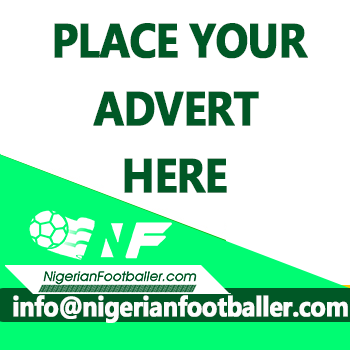 His introduction in the 73rd minute was intended at number to Nigeria's struggling midfield and the Gent midfielder duly did. Although he did not have too many touches of the ball, his big presence in midfield caused a cloud for Zambia and returned stability to the Eagles. The Eagles vice captain saw just seven minutes of action, but managed a strike that pulled a save out of the Zambian goalkeeper, Kennedy Nwinee. He came on for Ogenyi Onazi in added time, so did not have enough game minutes to be rated.